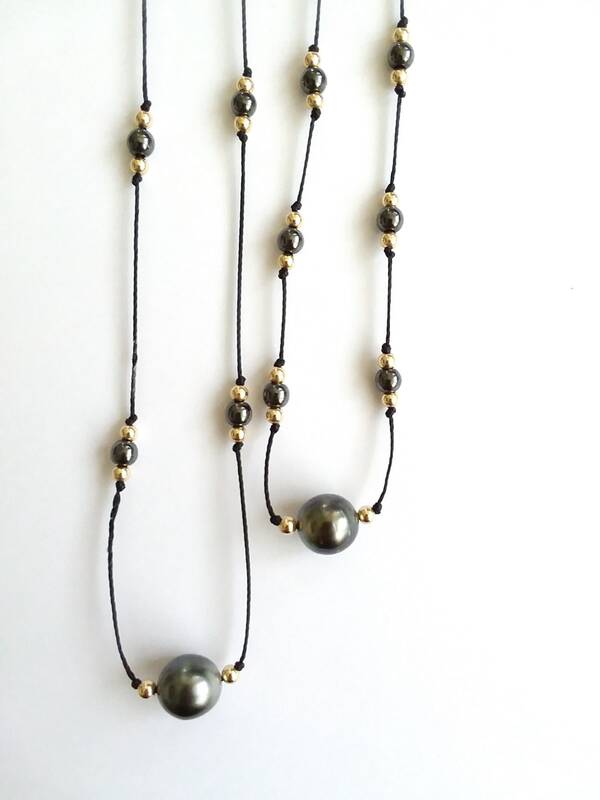 A beach boho necklace with black nylon cord, 14k gold-filled beads and a Tahitian pearl. 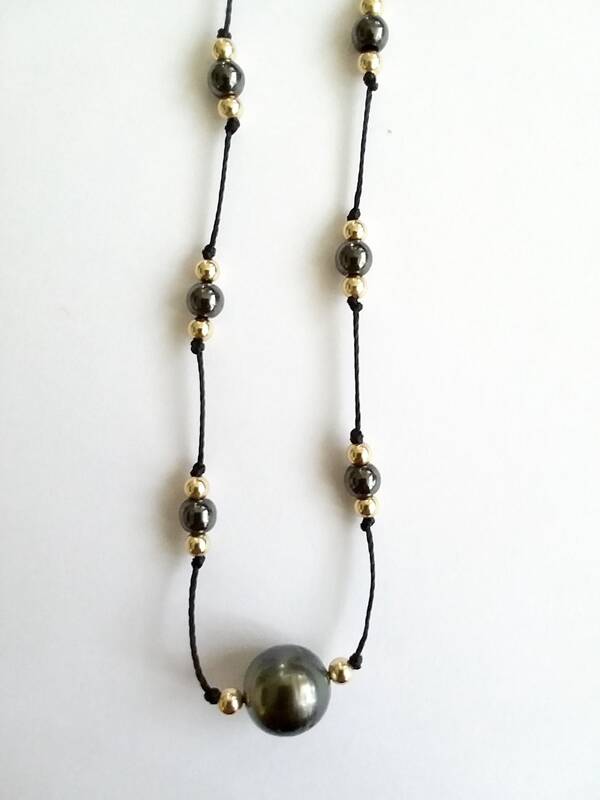 Wear this necklace by itself, or layer with your favorite gold or leather necklaces! 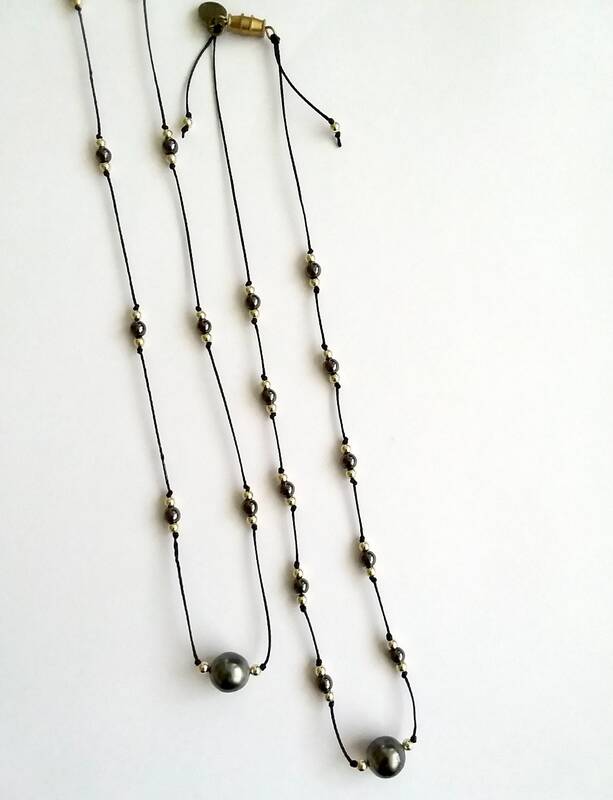 **Available in 16 or 24 inches. 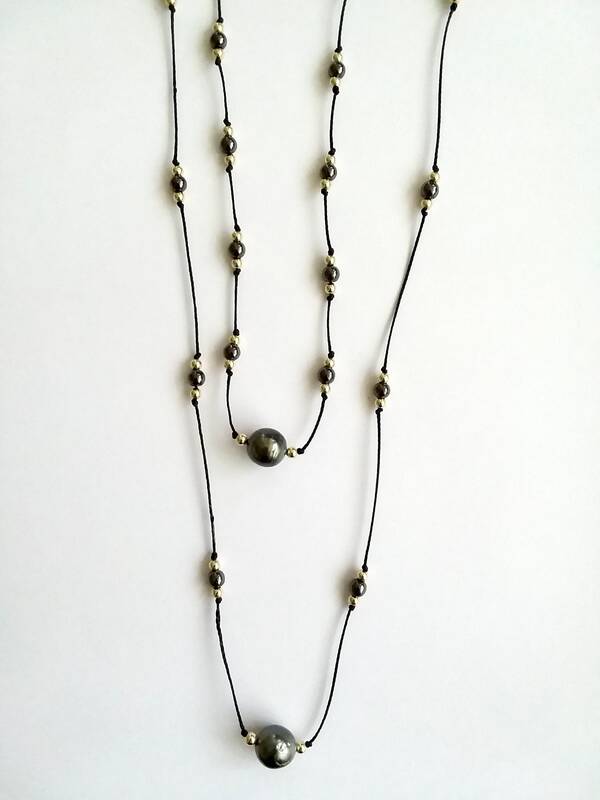 Gold and stone beads are closer together in the 16" necklace and further apart in the 24" necklace. 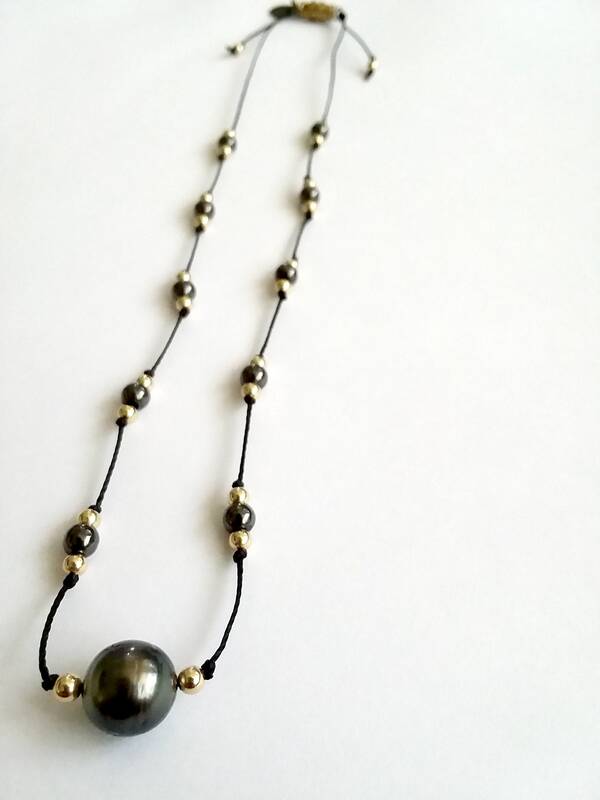 Necklaces should always be kept out of water. 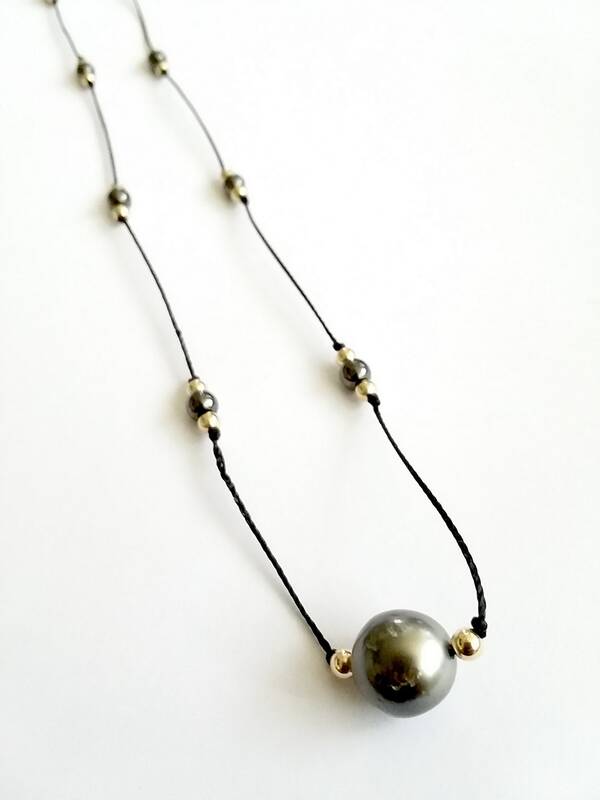 To extend the life of your OCEAN JAZZ necklace, avoid exposure to lotions, soaps and household chemicals. Always remove before swimming, exercising and cleaning.